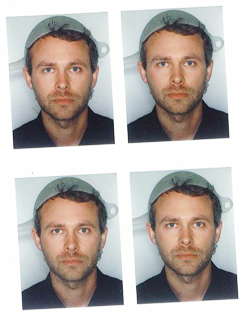 Austrian Man Wins Right To Wear Pasta Strainer In License Photo : The Two-Way Niko Alm argued that as a member of the Church of the Flying Spaghetti Monster he was required to wear the "religious headgear." After asking him to submit to a mental exam, Austria relented and issued his license. In Austria one of the strangest fights for religious freedom has come to an end: Niko Alm, a self-described "Pastafarian," fought for three years for the right to wear a pasta strainer on his head in his driver's license photo. His argument? Alm claimed he belonged to the Church of the Flying Spaghetti Monster and wearing the strainer was part of his religion. 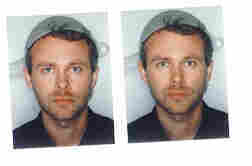 Mr Alm's pastafarian-style application for a driving licence was a response to the Austrian recognition of confessional headgear in official photographs. The licence took three years to come through and, according to Mr. Alm, he was asked to submit to a medical interview to check on his mental fitness to drive but - straining credulity - his efforts have finally paid off. 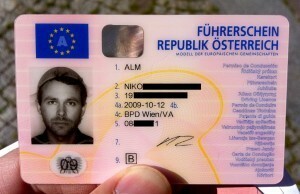 It is the police who issue driving licences in Austria, and they have duly issued a laminated card showing Mr. Alm in his unorthodox item of religious headgear. The AFP reports that Alm now wants to apply for "Pastafarianism to become an officially recognised faith in Austria." Just a note to say we've added a post with our interview with Alm.